LG Electronics has announced its operating profit estimates for the second quarter of 2017. Judging by the reported preliminary April-June profit of 664 billion won ($574.49 million), it is estimated that the tech giant will record a year-over-year increase of about 14%. While this growth is by no means meager, the financial results actually fall beneath the expectations of several market analysts, who forecasted that the South Korean company would post a net income of about 755 billion won or $654 million. It's likely that the mobile division's losses were well over 100 billion won ($86.62 million), while profitability for both the television and appliances businesses were a bit weaker than what we had anticipated. If this information is accurate, this would mean that LG's mobile business is operating at a loss for the 9th straight quarter, which could be attributed to the increased marketing spending for its latest flagship, the LG G6, as well as subdued sales figures for its other smartphone models. Still, this doesn't mean that the G6 isn't a successful product for LG's mobile division, especially when compared to last year's modular G5. However, it looks like the company needs to find a way to spread this popularity to some of its other models in order to become self-sustainable. Meanwhile, LG's "local" rival Samsung could very well record its most profitable quarter ever, with some speculating that Sammie might even earn more than Apple in Q2 2017. Life ain't that good for LG. Meanwhile the better Korean brand is about to have a bigger quarter than Apple. Lol, Apple made 11 BILLION dollars last quarter. That's more than Google and Facebook COMBINED. Samsung fans say the most delusional s**t sometimes. Samsung q2 profit is 12.1 billion I think 12.1 > 11 ! No ? Citation needed. I know for a fact that there's no way Samsung's mobile division made that much money, which means you're using the entire conglomerate to go up against one Mobile company. https://www.phonearena.com/news/Samsung-projected-to-record-highest-ever-quarterly-profits-as-it-announces-Q2-earnings-estimates_id95770 I think it includes other businesses. apple profit means ( imac macbooks ipads ipods apple music and apple services ) so why you compare this to samsung mobile division alone ? It's interesting how you suddenly mentioned "Samsung mobile" after you realized you had been exposed. Either way who cares if Samsung has more businesses than Apple ? It's clearly working and they're about to break records. Records and such don't matter. The fact is that Samsung is about to become the most profitable tech company in the world, a position previously held by Apple. No ifs, ands, or buts. That amount of profit translates into Google, Facebook, Amazon and Netflix combined. This is a mobile site, bruh. I don't see RefrigeratorArena at the top of my screen, do you? Cause he suddenly realised that who said the most delusional s**t? You never said apple made 11 billion from IPhones... You just said they made 11 billion. So, Apple have to buy some displays and 3D NAND from Samsung. They HAVE to so it because no one remains. ... So? I'd attribute their 9 quarter misfortune to "too little and too much, too late". 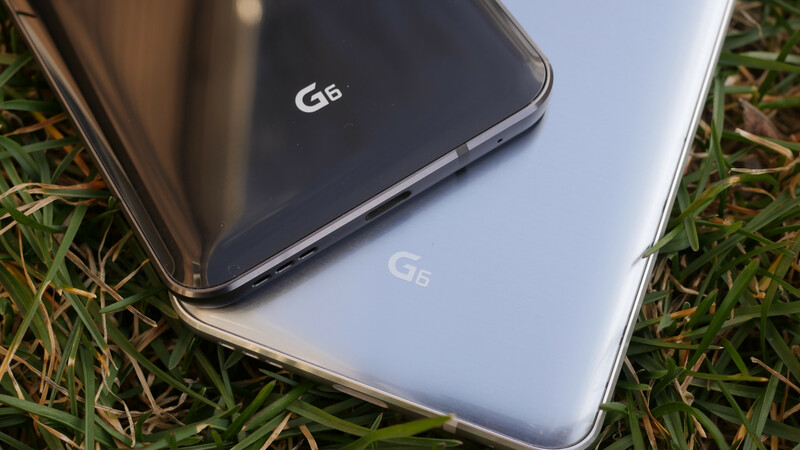 The G6 is the G2's righteous successor by not screwing up or jumping too far ahead in design aspects that mattered to people. Plus they should have streamlined their device portfolio. I think brand popularity and lack of serious advertising I sweat costs them today, the G3 and especially the G4 were both solid and great phones, if they put in more money into their ad like Samy, I think they'll make more profit. In my country most people don't even know LG makes smartphones but ask the same people about Samsung and they'll just drool over you. They will, but don't think they won't release V30 with SoC 835 one month later. G6+ will target cheaper segment. lg have to wake up , they should not expect that selling a 2016 phone ( specs wise , processor , 32 gb rom ) they will have a good quarter , people are getting more exigents with phone specs. put an 835 processor and make the rom larger 64 or even 128 and you will see , they tried to save money with the specs , then they end up " saving " clients . They should have waited for the SD835, and they should have released one version, and not a restricted one for Europe (no wireless charging, no 64GB and no quad DAC). Hindsight is 20/20, but I agree with everything you said. They weighed the updated processor vs. the earlier release and made what they thought was the better decision, and then proceeded to shoot themselves in the foot (with the 32 GB memory in most places, no Quad DAC except in limited markets, wireless charging in North America only, etc). The problem is, I doubt it would have mattered if they had waited and released a phone with the 835 chip and avoided all the other mistakes. They would have then faced greater competition with the later release. Every LG phone is a "almost...." There is always something. The G6 was close. Maybe the V30 will be what the G6 could have been. Time to pull the plug LG. Price cut for the LG G6 shows after only a few months of released show its not doing as well as what LG want it to be.